Discussion in 'Forum Introductions (Who are you!?)' started by AbdullahR, Oct 30, 2018. My name is Abdullah, I turn 29 tomorrow on Halloween. I make about $120-$150k as a software engineer and entrepreneur . Ive been devouring books left and right trying to figure out how I can make it to 7+ figures. One of my main reasons is to retire my mother who has been working at Walmart for the past 20 years. She recently said to me...They are going to cap my pay at $17/hr. I cried and felt deeply ashamed. I’ve read TMF 3 times to make the concepts stick and I just finished Unscripted, on the plane, returning from a big manufacturing fair in China last week related to my first major Fastlane business initiative. 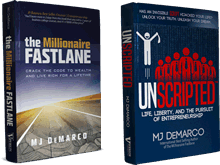 I’ve recommended @MJ Demarco's books to many already and Im doing everything in my power to launch my first 7 figure scaleable business! I look forward to learning from everyone here in the forum. YoungPadawan, Yzn, AgainstAllOdds and 15 others like this. Welcome Abdullah. You've got a great start in life. 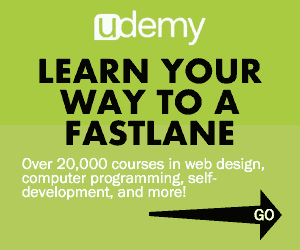 A six figure job is nothing to sneeze at, and can be a springboard for your fastlane ideas. Also sounds like you've got a strong "why". What's your specialty in software? YoungPadawan, Neng Her, AbdullahR and 3 others like this. My name is Abdullah, I turn 29 tomorrow on Halloween. I make about $120-$150k as a software engineer and entrepreneur . Ive been devouring books left and right trying to figure out how I can make it to 7+ figures. One of my main reasons is to retire my mother who has been working at Walmart for the past 20 years. She recently said to me...They are going to cap my pay at $17/hr. I cried and felt deeply ashamed. I’ve TMFL 3 times to make the concepts stick and I just finished unscripted on the way back from a big manufacturing fair in China last week related to my first major Fastlane business iniatibe. I’ve recommended DJs books to many already and Im doing everything in my power to launch my first 7figure scaleable business! I look forward to learning from everyone here in the furom. How do you make 120k plus as a software engineer? What areas are you involved in? BlackMagician and AbdullahR like this. I have a friend who just started working at Microsoft near Seattle and is making over 100k right out of college. AbdullahR and Silver Silk like this. There's a lot of possibilities there. Simply having that job title in California must give you that kind of salary... with the cost of living that fits too. Software engineers in my area easily make 80-90K (Canadian dollars) after 4-5 years. Yea most of my reasons of wanting to make 7 or 8 figures stems from family or community related issues. Silver Silk and lowtek like this. Im in Texas and as others have mentioned, it’s easily done if you become proficient 3-5 years after your first job. I’m a mobile developer. I’ve invested a lot of self learning in the form of reading over 20 books related to my particular niche of development. I could kill most dev interviews easily because of that. I actually could make more money, but flexibility in my current job keeps me there. I don’t want to go higher because of the potential higher demand on my time. I want to unscript. The Abundant Man, SamuelMazzotta, Neng Her and 2 others like this. One of the Ten Commandments of all forums in existence, use the “Search” function first...lol. Thanks for the welcome and I’m grateful for you mentioning the gold and notable threads. Silver Silk and Jeff Noel like this. Welcome, Abdullah. And happy birthday! It makes my heart sing to see a young guy who isn't tempted by the possible golden cage it is easy to get sucked into. On the contrary, like your trip to China illustrates, you're probably using earnt money to build your freedom. Yes. I'm in the golden cage. I have offers all the time to climb into another that pays a little higher. I'm sure if I accept a different offer, the cage will be smaller (them wanting more of my life). So, i'm trying my absolute best to control my spending, and put everything I can into becoming unscripted. Walter Hay, Silver Silk, SamuelMazzotta and 3 others like this. "..the cage will be smaller (them wanting more of my life).."
Silver Silk, SamuelMazzotta, Aleph and 1 other person like this. Welcome Abdullah! Thanks for the introduction. Silver Silk and AbdullahR like this. Where are you in Texas? I may be moving there in a couple of months to start my 6 figure job and I'm already planning my escape. Let's connect if you happen to be in Austin. Welcome Abdullah, well done by visiting China for your ideas. Welcome Abdullah and Happy Late Birthday! I agree with many here on this thread that you have a great start with lots of opportunities a head of you. If you decide to look up @Stone P keep me in mind too I live about 2 hours away from Austin and Houston and would like to meet like minded people and bounce around some ideas from our experiences. AbdullahR, Stone P and Silver Silk like this. Awesome to dream big but don't forget that even if your fastlane doesn't get you to 7 figures off the bat, as long as it allows you to quit your job (with low 6 or even high 5 figures), that is a MASSIVE step towards your goals already. All the best to you and please keep us updated! AbdullahR and SamuelMazzotta like this. Canton's a great place to start, but if you want the scale to make the big money right now importing, then look for a supplier outside of China. Find a tradeshow for a niche. Go to one that's not exclusively China. YoungPadawan, AbdullahR, Walter Hay and 1 other person like this. Goosebumps... Thanks, guys, this is a wonderful wake-up. Great advice @AgainstAllOdds. The opportunities outside China are mind-boggling. Don't follow the crowd @AbdullahR. That way you can be one step ahead because few have the initiative to take off their blinkers and look away from China. @Agaistallodds @WalterHay I went there to find manufacturers for a product that I'd like to release. It's the place where I've known others in my circle to go. But I'd like to venture out. Where would you recommend going to find other manufacturers? You are right! If I could go unscripted and make my current salary. That'll be MASSIVE. I'll keep that in mind, a celebrate that when it comes while aiming high for 7 or 8. With the money coming in from your salary, you can do a lot with investing it into your product or business. keep it up! that is unique or at least is not already on the market in the country where you intend selling. You could search in Italy, France, Turkey or Malaysia for example, and there you can find products that are being sold in those countries, but not in the USA. My latest importing book has a big list of sites where you can find products worth importing. I am currently working on greatly expanding that list, but that won't be available until early next year. IMO the worst thing you can do is to follow the crowd. People are often posting about using analytical tools that find the most popular products, but a moment's thought shows that this automatically means more competition. YoungPadawan and Silver Silk like this.